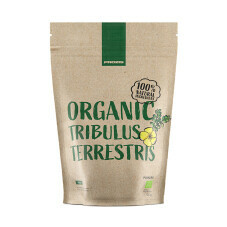 Tribulus terrestris is a the name of both an extract and the prickly-fruit-bearing plant it is derived from, the latter also being known by other names like caltrop, goathead and tackweed. The extract form is very rich in active ingredients like phytosterols, flavonoids, alkaloids, glucosides and saponins. Either on its own or as part of a more comprehensive prohormonal supplement program, tribulus stimulates the endogenous testosterone production. For that reason it is often used to treat sexual problems, most importantly in men (i.e. erectile dysfunction or decreased libido).